Spain have created history by winning their third major international competition in a row and they deserved their victory after yet another scintillating performance. Firstly, though I did feel sorry for the Italians and it is always sad to see professional footballers crying on the pitch and to see players like Gianluigi Buffon and Andrea Pirlo looking on with tears in their eyes was not easy to watch. They were gracious in defeat even though they lost 4-0 and in all honesty were never in the game. David Silva opened the scoring after some good work from Cesc Fabregas and it was all downhill from there, as Jordi Alba scored a second just before half time after an exquisite through ball from Xavi. The game was almost over and then when Thiago Motta had to go off injured, that was it they had no chance of getting back into it as they had already used all three substitutes. Then the game turned into the Fernando Torres show who had been wrote off a few times during the tournament but the man could be back as he has finished with the golden boot as he got a goal and the assist which he needed to take over Mario Gomez. His finish was superb as he beat the onrushing Buffon with ease then after being played through again he played it to his Chelsea teammate Juan Mata to put the ball into the net. Man of the match- Xavi- For me he was the difference between the sides and he played slightly different to usual as it seemed like he was told to push on more. 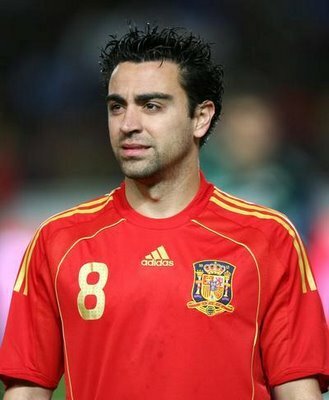 Not only did he dictate play for Spain, he also stopped Pirlo playing and made him look his age. His through ball to Alba for the second goal was in my opinion the pass of the tournament and not many other players in the world could have played it with the right amount of weight. It was a perfect performance from him as he hardly gave the ball away and won the ball high up the field. 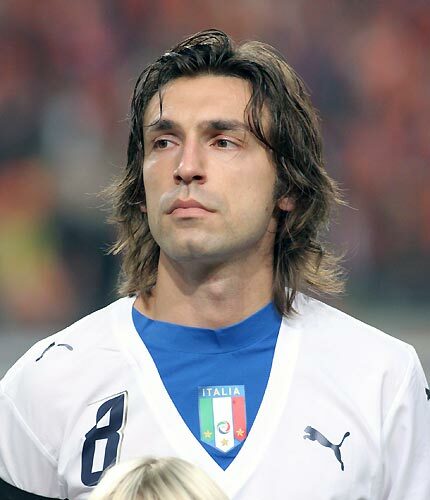 Italy didn’t have an answer to him and he just outshone Andres Iniesta and Xabi Alonso. Spain and Italy are the next two teams to qualify for the knockout stages and eliminated Croatia and Ireland in the process. Ireland were already out of the competition but they were still looking to win their final game however they were beaten 2-0 by Italy which put a lot on the other game as both Spain and Croatia could have went out. Antonio Cassano and Mario Balotelli scored the goals and sent them through in second place. Spain as expected had most of the ball in their game but Croatia easily had the best chances and should have had a penalty. Ivan Rakitic should have scored with a header from a wonderful cross from Luka Modric but he sent it straight at Iker Casillas in the Spain goal. The Spanish did not look confident when defending crosses and Vedran Corluka was clearly being fouled as he jumped up for a header late on but the referee missed. However, Corluka should have scored anyway but it hit his shoulder and went agonisingly over the bar. In the last few minutes substitute Cesc Fabregas chipped a lovely ball through to Andres Iniesta who squared for Jesus Navas to tap in. But, this wasn’t the end of Croatia because if they had scored they would have went through knocking out Spain in the process but they couldn’t really create a clear chance. Man of the match- Jordi Alba- It was difficult to choose a man of the match because of how well Croatia played and if they had managed to find an equaliser then Luka Modric and Gordon Schildenfeld would have been in contention. But I am giving it to the Spain left back who made countless attacking runs and looked more like a winger than a fullback. Spain weren’t at their best with their main players such as David Silva and Andres Iniesta only being on the edge of the game for the most part and with Xabi Alonso and Xavi not being able to find a killer pass. For me the left back looked most likely from the players that started the game to create something and even though his defending at times wasn’t the best, he managed to make a few important interceptions. As said, it was his attacking intent that impressed me and it just shows in the stats, he made 19 successful passes in the attacking third. The games in Group C kicked off and all eyes were on Spain, Italy, Croatia and Republic of Ireland. The first game saw Spain kick of the defence of their European Championship against Italy in what showed two very different styles of football. Spain with their short, sharp passing style and Italy with their focus more on defending and counter attacks. As expected Spain had more of the ball but strangely they decided to start the game without a recognised striker so they had six midfielders in their starting line up. However, it was the Italians who had the better opportunities and looked the more likely to score the opening goal which they did through Antonio Di Natale who scored with almost his first touch after coming off the bench with a fantastic finish. But, Spain hit back quickly with a very good goal themselves, David Silva slipped through a perfect through ball for Cesc Fabregas to run onto and score past the advancing Gianluigi Buffon. That is how it ended, but not before Fernando Torres missed two very good opportunities to win the game. Man of the match- Andrea Pirlo- The midfielder proved his worth to the team and a lot of people that don’t watch Italian football would have been surprised that a player of his age still gets into their national side. Bu for Juventus this season he contributed a lot to their title winning side and provided a lot of assists. His game today was slightly different as he got through a lot of work defensively and had to follow the Spanish midfielders around and he was always there putting them under pressure, forcing them into errors. His pass to set up the goal in my opinion could be the pass of the whole tournament as it was perfectly weighted and allowed Di Natale to finish first time. In the second game, the goals came at perfect times for Croatia, just a few minutes into the game they scored, then just before halftime they added another. They finished the game off just after halftime. Ireland did manage to pull back an equaliser to Mario Mandzukic opener through Sean St Ledger but were never really at the races, although they should have had a penalty when Robbie Keane was fouled and Keith Andrews put a few efforts wide. The Croatians just looked the better side and they may not be the best at the back but going forward they will cause Spain and Italy problems. Man of the match- Mario Mandzukic- The striker looked on top form and scored twice (the second one did hit the post and then Shay Given but I think it should be his goal). He caused the Ireland team so many problems in the air and on the floor, Richard Dunne couldn’t handle him in the air and Sean St Ledger couldn’t handle his movement so they will be happy to see the back of him. He even outperformed Nikica Jelavic which not a lot of players have done since he joined Everton in the Premier League so that shows how well he played. I’m sure Croatia’s playmakers Luka Modric and Ivan Rakitic love playing with him as he always makes himself available for a pass and wants to get balls both into his feet and in the air. How do Manchester United keep doing it? Losing at home to Blackburn yet still not losing any ground in the title race. It seems to happen year after year, why can no team take advantage of them slipping up. Manchester City have easily the best squad ever assembled in the Premier League and they have now gone two games without scoring. After watching the game against Sunderland, I am very tempted to back United to take the title because City need to win games like this if they want to be champions. It’s not like they were terrible but this is what a lot of teams do against the big teams- put 11 men behind the ball and defend for their lives. Manchester United always seem to find a way and yes there is the joke in football about ‘Fergie Time’ but it’s not just by chance that they keep scoring last minute winners unlike their rivals in the past, whether it has been Chelsea, Arsenal or Newcastle. The most frustrating thing about this defeat for City is the fact that even though they had a lot of shots they didn’t seem to create many clear cut opportunities apart from the Richard’s header that hit the bar, which would have been harsh on Sunderland seen as though he was arguably offside. With all their talent and wealth they should be able to create a lot of chances against a team that had players playing out of position, with Craig Gardner a central midfielder at right back and Jack Colback at left back, Sunderland must have been fearing the worst. This was an even more daunting task when midway through the first half one of their most experienced defenders Wes Brown went off injured for a player that has been in the wilderness at Sunderland since basically the day he signed Matt Kilgallon. The Sunderland players will be very proud of their victory but Manchester City should be ashamed of their efforts at the Stadium of Light. However, I am going to point the blame at Roberto Mancini because I thought he had realised the way to win the league was to attack as he had been doing at the start of the season when they looked unstoppable but for some reason he went back to his old ways and played De Jong and Gareth Barry in front of the back four with only one player upfront. Surely when your nearest rivals get beaten the day before you play, you do everything you can to win your next game, why were David Silva and Sergio Aguero warming the bench in the first half especially when City don’t have to worry about playing in the Champions League for the rest of the year. Yes they are in the Europa League but I cannot see them taking the competition seriously. 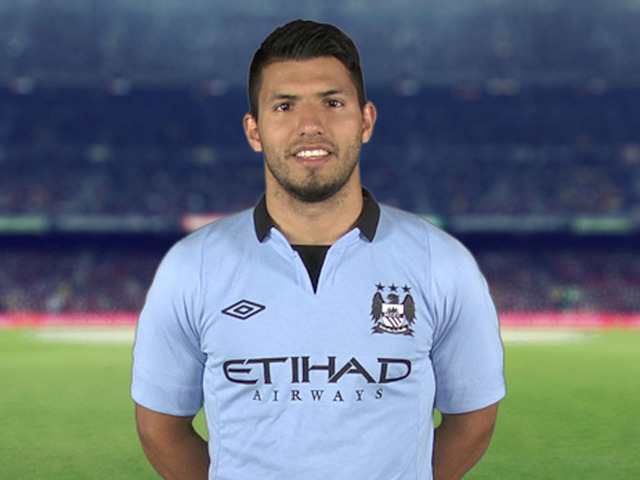 One last comment on where Mancini has failed is keeping his players happy mainly Carlos Tevez. I’m not defending the player’s actions but this was his type of game where his effort and determination would have grabbed a goal for City like he did so many times for United when he was there. Being top of the table means dealing with pressure, Manchester City bottled it today and if the Red Devils get a similar opportunity later in the season they will take advantage and Sir Alex Ferguson will have won the mind games yet again.